Now, Mars in 12th house. Prima facie, it represents that a person's energy and action are going in matters of 12th house. It can represent someone who is working as Jailer in Prison or Doctor at a Hospital or an Asylum. It can also show a sports-person, who goes to other countries to represent his country in sports. This position of Mars can also make a person Spendthrift, as Mars is in the house of losses and expenses. From 12th house, Mars aspects the 3rd house of Siblings, so this aspect provides younger siblings but there may be struggles and arguments between siblings. As 3rd house is also a house of Communication Skills, this aspect provides a dominating and aggressive way of speaking. Mars next aspect goes to 6th house of obstacles and disputes, and this aspects provides the person, lots of will power and courage to fight against the obstacles of life. 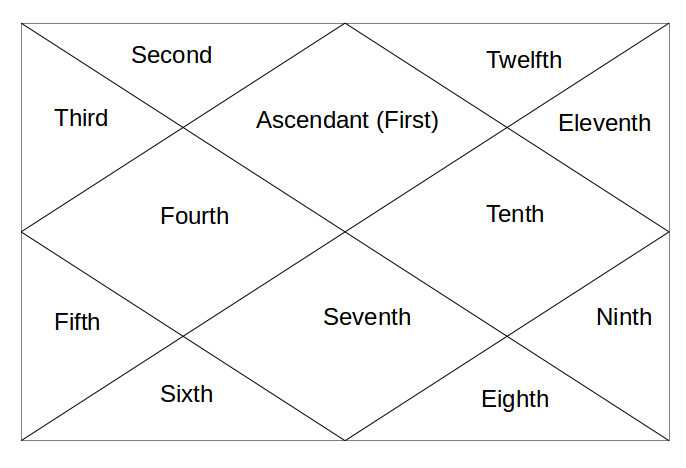 Mars last aspect to 7th house of Marriage and Spouse makes it a mangalik position, so care should be taken regarding Mangalik Yoga measures - http://astrosaxena.com/mangalik . It brings fluctuations and ups/downs in relations. So, here ends the Mars through Houses. Next 2 posts will be on Vargottama Planet and Yogakaraka Planet. After that, we will see what Great Benefic Jupiter does in 12 houses.